New Delhi: Already battered by corruption scandals, and less than a week after an embarrassing policy U-turn, the Indian government admitted on Friday that it had accidentally inflated this year’s export figures by more than $9 billion. The cause was a glitch in the computer system that collates the trade data, trade secretary Rahul Khullar told reporters. Months of export and trade deficit data have had to be revised. “How many people would come and tell you, ‘OK we goofed´? There was a mistake," Khullar said. “There is no shame in admitting that there is something wrong," he added. Growth rates for individual sectors were also distorted by computer errors, Khullar said. For example, the performance of the engineering goods sector had been exaggerated because certain shipments had been incorrectly classified. Exports of petroleum products, on the other hand, had been under-estimated. The ministry had consistently emphasized that the data released each month was provisional, and it had been open about concerns that the figures were unreliable. The admission came after months of speculation in business newspapers about possible flaws in the data. In particular, suspicions were aroused by a big jump in exports - by as much as 82% in July - at a time when industrial growth and other indicators were showing signs of an economic slowdown. “Many of you have been commenting ... in the media about how are exports doing so well if manufacturing is doing badly, and the implicit understanding was that look, either the export numbers are wrong, or the IIP (index of industrial production)numbers are wrong, or both are wrong," Khullar said. At a previous news conference, Khullar bristled at the suggestion that the ministry was “cooking the books", to use his phrase. Khullar also emphasized that while the figures were inaccurate, the overall export trends portrayed were reliable. 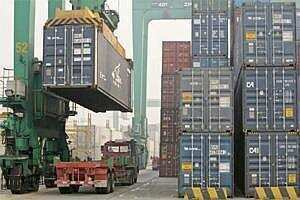 Exports grew 33% between April and November, hitting $193 billion, according to the revised data. “The big picture still remains that the exports are still doing pretty damn well at 193," he said. Exporters in Asia’s third-largest economy enjoyed record growth last year, rebounding from the global financial crisis as demand from Europe and the United States revived. This fiscal year had also started with strong double-digit growth, according to the original figures. But with the euro zone lurching from crisis to crisis, and a sluggish US economy, demand has once again been shaken. That will put pressure on India’s trade deficit, which could amount to $155-160 billion for this fiscal year, Khullar said.